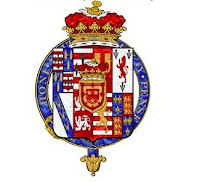 The title Duke of Sutherland was created on 28-1-1833 in the Peerage of the United Kingdom for George Granville Leveson-Gower (1758-1833), son of Lady Louise Egerton, daughter and coheiress of her father the 1.Duke of Bridgwater, and husband of Elizabeth Sutherland, 19.Countess of Sutherland. The descendants of his eldest son died out in the male line in 1963 and a niece of the 5.Duke became 24.Countess of Sutherland. A younger son of the 1.Duke, Lord Francis Leveson-Gower, took the surname Egerton and became 1.Earl of Ellesmere on 6-7-1846. His descendant the 5.Earl of Ellesmere, became 6.Duke of Sutherland in 1963. The Leveson-Gower/Egerton family descends from Sir Nicholas Gower who died in or after 1351. Created baronets on 2-6-1620, Barons Gower of Stittenham 16-3-1703, Earls Gower 8-7-1746 and Marquesses of Stafford 1-3-1786. 91. Lucy Magdalen Hall * … + …; Dr van Jasper H.